The Vitafoods show is the biggest European event for the nutraceutical industry. It was the first time in Europe that Holimel® was introduced. Holimel® is from a concentrated melon juice rich in natural SOD that protects the skin against U.V, clinically proven. Also, it was the opportunity to introduce the 6th clinical study of Lipowheat™ a well-known ingredient that hydrate the skin and reduce wrinkles significantly. 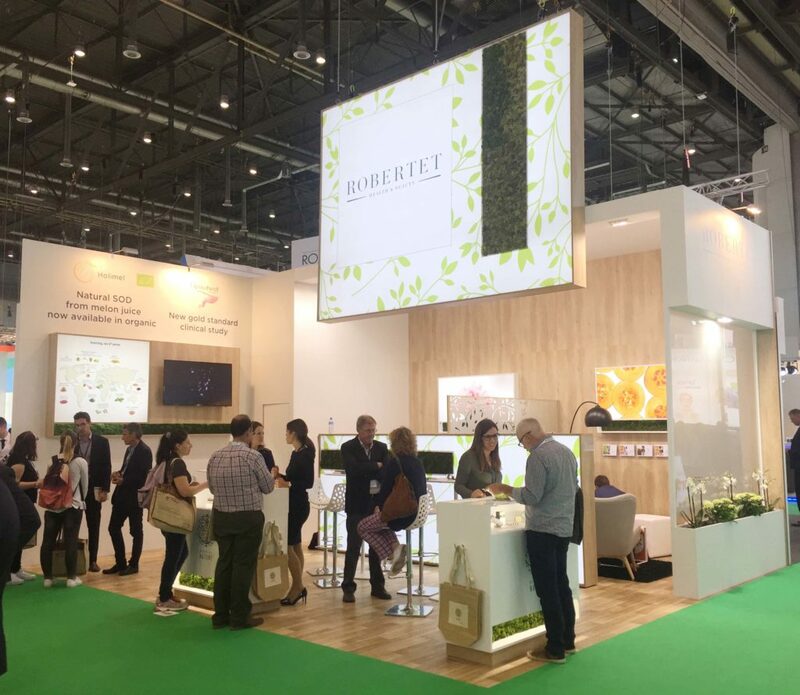 Robertet Health & Beauty was proud to tell visitors that our 5 nutraceutical products, Lipowheat™, Keranat™, Extramel®, Dimpless®, Holimel® are now available in organic!